If used as directed with other sun protection measures (see Directions), decrease the risk of skin cancer and early skin aging caused by the sun. New and Improved! 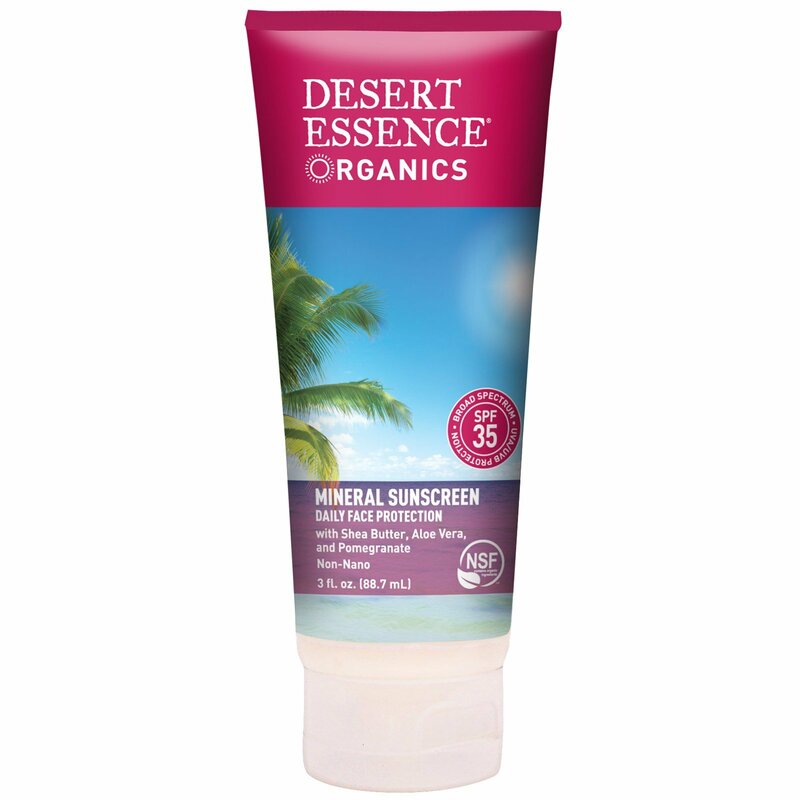 Specially formulated to protect face and body as it nourishes, this Zinc Oxide based mineral sunscreen provides broad spectrum SPF 35 protection from UVA and UVB rays. Rich in Vitamin E, Organic Pomegranate, and Organic Aloe Vera extracts, it provides skin with much-needed nutrients and moisture. Inactive Ingredients: Ethyl palmate*, aloe barbadensis leaf juice*, helianthus annuus (sunflower) seed oil*, sorbitan olivate (olive), butyrospermum parkii (shea) butter*, beeswax (cera alba)*, anthemis nobilis flower oil (chamomile), punica granatum extract (pomegranate)*, punica granatum fruit juice (pomegranate), tocopherol (vitamin E), glycerin (palm), gluconolactone, sodium benzoate, maltodextrin, silica. 100% Vegetarian / Wheat & Gluten Free. No: Paraben, sodium lauryl/laureth sulfates, phthalates, artificial fragrances or colors, EDTA, glycol or petroleum-based ingredients. Cruelty Free and Biodegradable Formula: No animal testing of raw materials or finished product. No Phosphates. Protect this product container form excessive heat and direct sun. Color variations is product may occur due to natural ingredients.